Electronic components by nature produce heat and do not operate properly when subjected to the heat they create. A common failure of others is to not provide proper displacement of the heat created by these components. 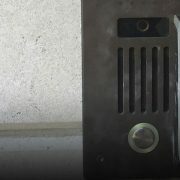 We find all too often that pieces of electronic equipment are placed in cabinetry, closets, and other enclosures without proper ventilation or cooling, and in some cases no ventilation or cooling at all! Equipment that overheats is equipment that fails. Overheated equipment can run slow, intermittently, or not at all causing a malfunction of the overall control system. 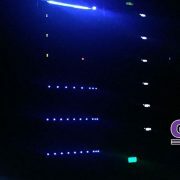 Construction of the rack itself and the location and proper number of cooling components is an important factor as well. 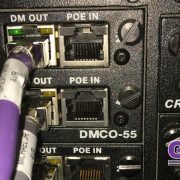 Beyond just failing equipment and latency in systems, incorrectly built and placed racks can cause significant safety issues in a home or office. Rooms such as mechanical rooms, boiler rooms or wooden utility closets are often problematic for properly housing electronic equipment. Placing this equipment in proximity to unnaturally high temperatures stemming from boilers or water heaters, leaking or standing water, and significant dust levels could not only lead to system failure, but can be serious fire or life safety hazards. GMI makes sure that our equipment is installed in well ventilated areas. Our knowledge of the equipment we use allows us to anticipate the heat generation of a system and install additional cooling components when necessary. 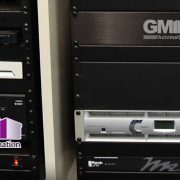 To prevent issues within racks and service rooms the #DoneRightNotEasy Crew at GMI Automation makes sure that all wire is supported properly from beginning to end. 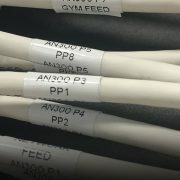 We use supporting bars in our racks and Velcro to guide wire from point to point between component parts. We keep like wires together with each other and organized properly, take heed of bend radius when routing wires, and keep power wires away from power limited control system wiring. 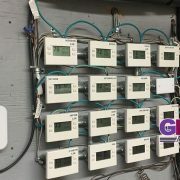 Clients spend their hard earned money on these luxury control systems expecting them to work properly every time they are used. Without the appropriate rack and server room construction and management, this simply is not possible.